Be a SUB at New Berlin!! If you are interested in becoming a substitute teacher please contact ROE#51 to complete their necessary steps. 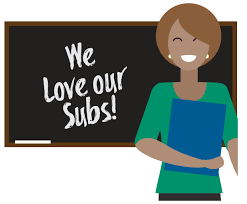 If you currently have a Sub License and hold a Sub Authorization with the Regional Office of Education, #51 and would like to Sub at New Berlin, CUSD #16, please contact the District Office for paperwork. Those who have been issued a Sub license after July 1, 2017 can apply through the District Office to receive a refund of their application and registration fees after working 10 full days.